Take Advantage of Your Vacation Days This Year! 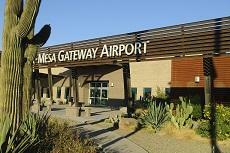 Join Visit Mesa and U.S. Travel Association as we celebrate National Plan for Vacation Day, Jan. 29. Whether you&apos;re traveling alone, with friends, or with family, Mesa, Arizona has everything you need for an unforgettable vacation. We have compiled our insider knowledge and essential resources to make planning your next visit to the Southwest effortless. Check out the following travel itineraries for ideas and these great discount hotel stays throughout the city. DID YOU KNOW? The U.S. Travel Association highlights the importance and benefits of why taking time off is essential to your mental, emotional, and physical well being. Research shows that more than half of workers in the United States do not take their full allotted vacation days, meaning that roughly 662 million vacation days have gone unused in previous years. Can you believe that? Although we are slowly improving at taking our well-earned vacation days, the Travel Association states that less than have the time Americans take off is used for travel. Come on, guys! Also, The Association clarifies that traveling is the best way to increase your happiness with your job, relationships, and how you spend your days off - so start planning early! In order to bring awareness to the workaholics across America, The U.S Travel Association has declared January 29th, National Plan for a Vacation Day! ACTIVE FAMILY: Take the kids and start making memories! Whether you are looking to relax or have an action-packed adventure, Mesa offers an enriching experience for every family member seeking discovery during their travels. 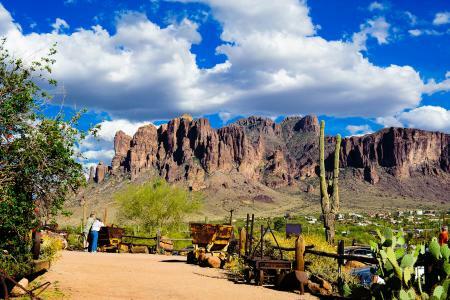 ADVENTURE EXPLORER: Get out there, be active and experience the stunning Sonoran Desert. An endless natural playground for those who love to be in nature; Mesa offers ever-flowing rivers, majestic mountains, and endless possibilities for outdoor recreation. There is no better way to learn more about the beautiful environment that surrounds you. Picture perfect scenery included! CULTURE SEEKER: Immerse yourself in the rich culture and history that is shared throughout the city. In a city centered on creativity and imagination, there is plenty to discover from the Mesa Arts Center to the Historic Downtown. Also, make sure to get your steps in and walk through the streets of Downtown Mesa to experience the local shops! FRESH FOODIE: Taste the deliciousness on the ultimate foodie road trip! Our Fresh Foodie Trail offers a unique local experience to dine on a variety of seasonal harvest delights. SPORTS ENTHUSIAST: For the love of the game and all sports fanatics, Mesa offers world-class outdoor recreation for both spectator sports and play. Whether you want to experience our seasonal spring training or overlook our exquisite golf courses, our wide selection of activities will bring joy to all sports lovers visiting Mesa! 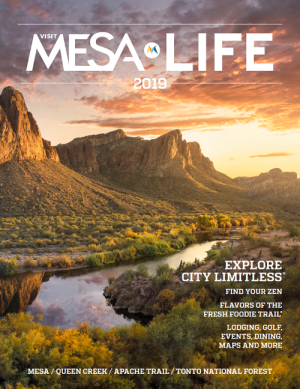 Our 2019 Mesa Life Visitors Guide provides recommendations for lodging, transportation, restaurants, adventure and more.